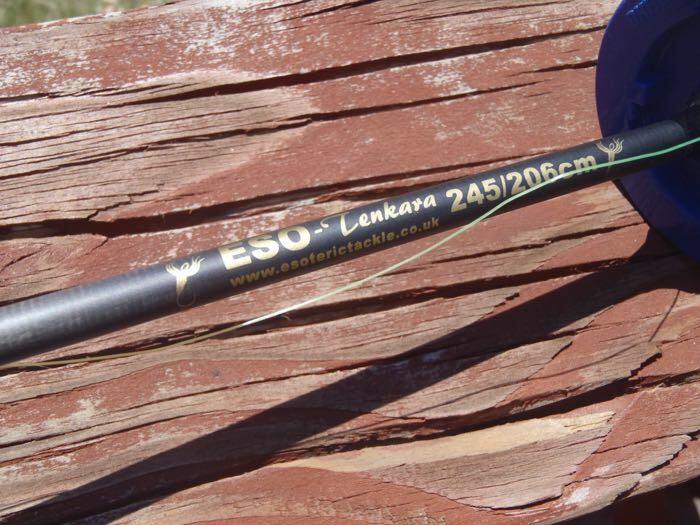 I recently got to test the new 245/206 CM tenkara rod from Esoteric Tackle. And before you ask, yes, I confirmed with the owner that the rod doesn’t have an official name and is only referred to by the specs which is baffling to me, but that’s their prerogative. 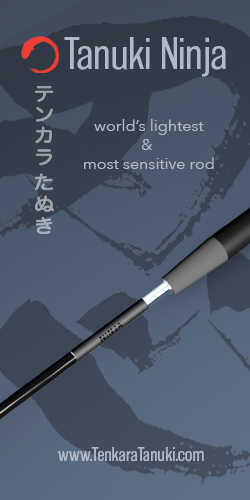 Despite being nameless, this is a great rod. First of all, you should know this is a short, zoom rod. Its default it 206 cm, but can zoom out to 245 cm if needed. I much prefer the action in the 206 mode though. 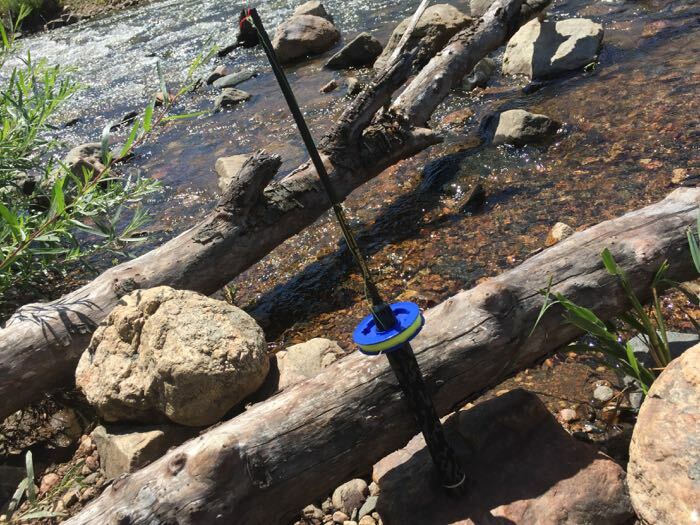 I live in Colorado and so I’m lucky enough to fish really long rods since most of the streams out here have little or no obstructions. 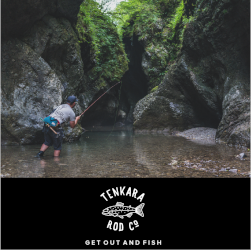 But I know a lot of tenkara anglers back East who face a lot of challenges with riparian vegetation getting in the way of their casting. This rod would be a good choice. But it’s not just the length that makes this rod good. The action is incredible. Even with a light level line, the rod transmits the cast almost effortlessly. And it’s so light in the hand, you barely even notice you’re holding it. It’s been described as a “magic wand” and I can see why. At a mere 1.9 ounces, it feels like nothing in the hand. 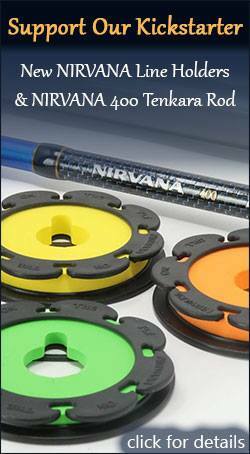 And, it’s perfect for UL backpacking trips where you want a rod that’s light, compact, yet functional. This is a great rod whether you are fishing in tight quarters for small trout or just want to turn a bluegill into a monster. Get more info here and feel free to call or email me if you have any questions. I have used a cheap 8-9-10 zoom rod a few times with not to much enthusiasm for those lengths. 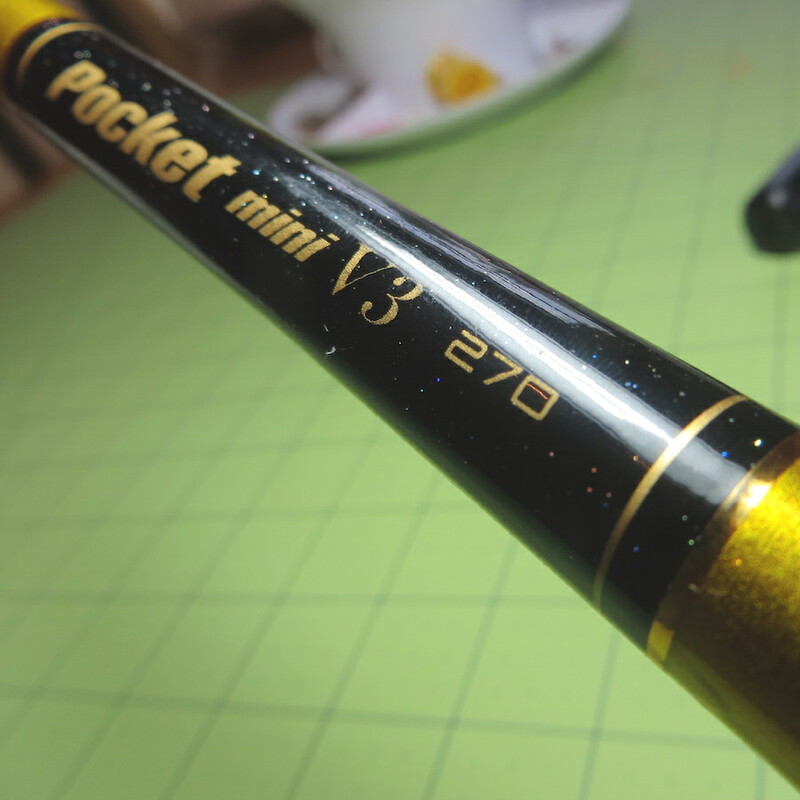 I ended up buying the Nissin pocket mini 270 as a result. But this ESO rod would offer an extremely useful range on many of the streams here in Western NY. Sounds like you are pleased to have tested it, which is a ringing endorsement from my experience. Definitely has some cool features too. Thanks Jason! something good about it… Seems you really like it. Jim, being a native of WNY and having fished there most of my fishing career, I can attest that this would indeed be a great rod for that area. Although I’ve heard the fishing there has declined over the last few years. I’ve heard that the hatches on the Oatka, Wiscoy, East Coy, etc. have pretty much died. Is that true? I like the idea of painting the rod plug a bright color so you could find it. I have a different problem. I have a couple or three rod plugs that are not for my rods. Don’t know how that happened. Scott, don’t ask Bobby Brown how to spell or pronounce it. I own and use this rod (I live in the UK) and can confirm that this rod is brilliant. It is everything that Jason says it is. I definitely recommend it. Trout fishing is pretty well gone this year. We have had a severe drought and the streams are extremely low. Trout would be extremely tough to find without a thermometer even if you could find a decent pool left. I have not heard anything recent about hatches, but the caddis, sulfurs and olives appeared normal until the end of Spring. I would not be surprised to see diminished aquatic insects due to increased temperatures and reduced oxygen levels. Upsets the eco-balance most severely. Most of us have chosen to leave them alone and stick to large and small-mouth fishing in the lakes. My Killer Worm has proven an amazing bass fly. They absolutely cannot resist. Stay cool JK! Like David I also live in the UK and have owned one of these little jems for about a year now and like Jason states it seems to cast with no effort at all and you will be surprised at the size of fish it can handle. I have brought a 2lb grayling to hand in heavy water and the rod felt in control all the time. I can’t see anyone being disappointed with this rod. Rhodo Lengths – 8′ 10″/ 9″ 9″/ 10″ 6″…. Wt. – 2.1 Oz….. Closed Length – 53.3 cm….. Segments – 8….. Cost – $215.00. 245/206 Lengths – 8′ and 6″ 9″………….. Wt. – 1.9 Oz….. Closed Length – 23 cm…….. Segments – 6….. Cost – $ 80.62. In addition I believe the Rhodo would have a slightly overall softer casting action and you do not get the spare tip sections you get with the 245/206….Karl. 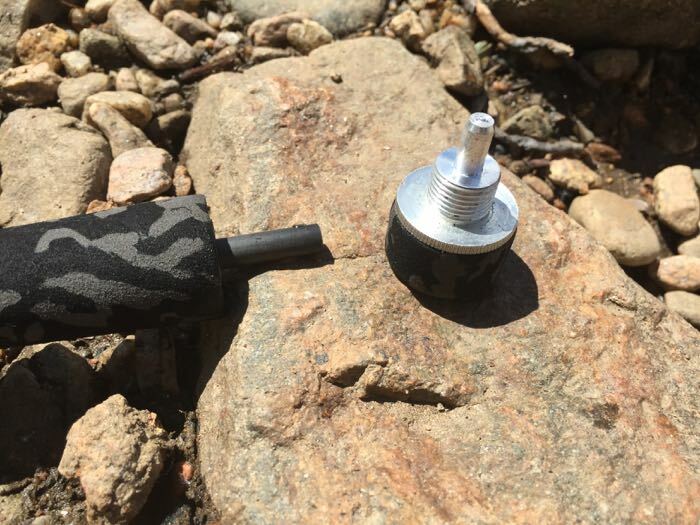 If this is important to you, with the Rhodo you get a nice cork grip in stead of hard foam one, a nice glossy rod finish, and a rod case instead of just a rod sock at no extra charge. 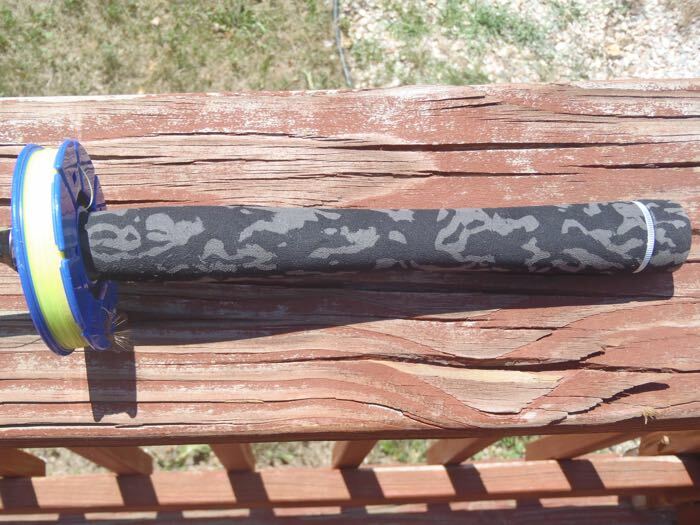 I can not say for sure whether the dull 245/206 rod finish and cammo-foam grip scares fewer fish or not, but I do not believe it can be any worse than a flashy rod finish would be in that department, either. I’ve never held a tenkara rod in may hand before. 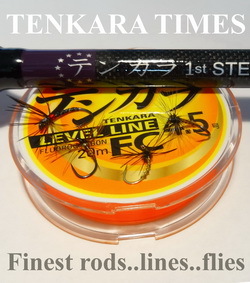 Just started thinking about tenkara after first season with euro nymph and I’m sure I want to try it. 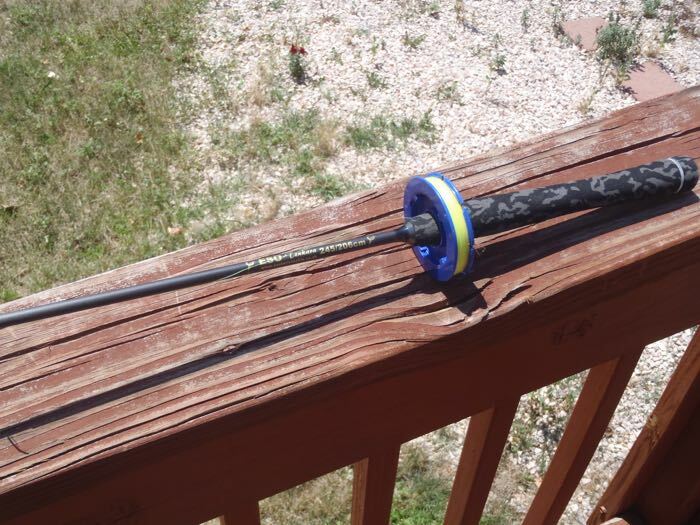 Would you recomend that rod to a noob, I often fish tight spots with a lot of overgroth, and using between 6′ and 8’6″ fly rods. 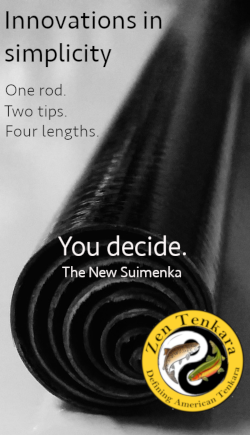 My concerns about this particular rod are: is it not to short to lern tenkara, and will I be able to fish heavy-ish 3mm tungsten bead nymphs with it. Hi Tom! Yes, this rod would be fine for a beginner. I don’t think length affects the learning curve at all. 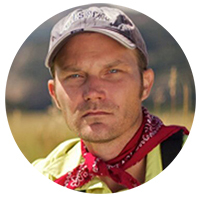 It’s more about suiting length to the types of rivers you fish. As for tungsten, as I’m sure you can imagine, any heavy weight on the end of the line is going to affect the cast. You’ll be able to do it, but will have to adjust your casting style and it might look a little sloppy compared to an unweighted fly. I use tungsten all the time with all of my rods though. 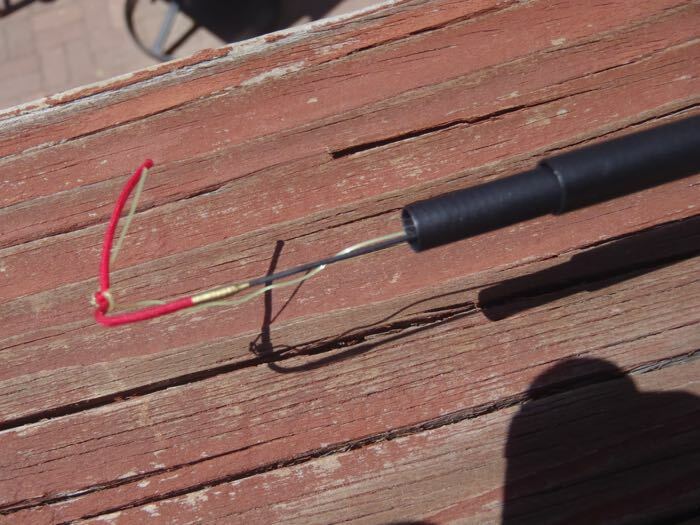 In a way, it can make casting easier because you can leverage the weight to help load the rod more. If this is too vague, feel free to give me a call and I’ll see if I can explain it better.